Nandi Hills - Refreshing morning break! Gokarna - Relax and enjoy nature..
Gurgaon - Reunion with friends! The Pedal Stroke – "it never gets easier, you just get faster"
RIP Nagios. Hello Docker Shinken! Why static blog site is a good idea! Open Source changed my life! 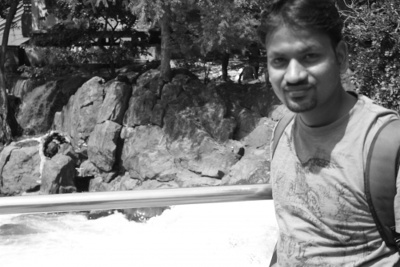 Rohit Gupta is a developer, foss evangelist and proud Indian. He is passionate about technology and has worked in the area of convergence of telephony over web. Some of the projects he has worked upon include automating the cloud management over Amazon Web Service using boto, enabling high availability, failover solution and auto-scaling to ensure zero downtime and un-interrupted services to customers. As a FOSS enthusiast, he was instrumental in organizing the first ever linux InstallFest, founded the GNU/Linux User Group and presented FOSS tech talks in his University. PyCon India 2015: RIP Nagios. Hello Docker Shinken!